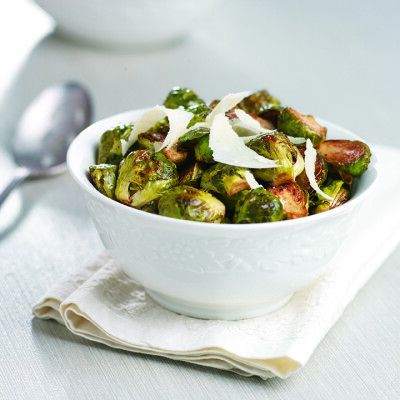 Sweet and savory balsamic vinegar adds a tangy zing to these caramelized sprouts! Place all ingredients, except cheese, in a medium bowl and toss to coat. Spread mixture on rimmed baking sheet and bake, stirring occasionally, until golden brown and crispy (about 35 minutes). Serve warm with a generous scattering of Parmesan cheese.